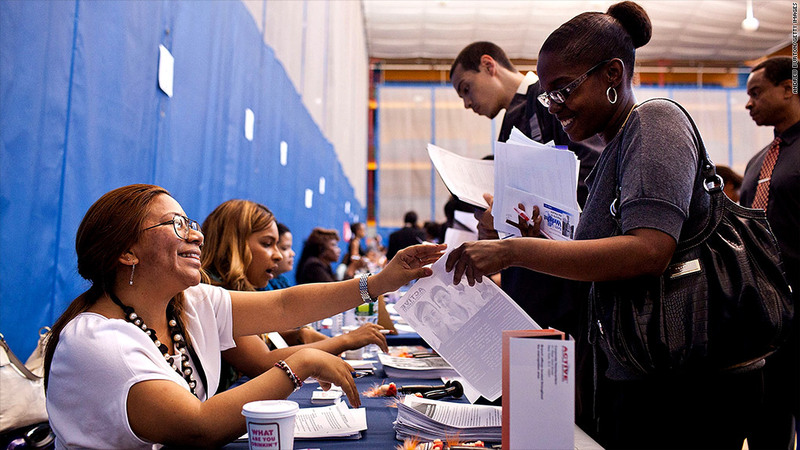 A woman speaks to a potential employer at a New York state jobs fair. First-time claims for unemployment benefits are on a roller coaster. The number snapped back up last week, after falling to a four-year low the week before. About 388,000 people filed for first-time unemployment benefits in the week ended October 13, up 46,000 from the previous week, the Labor Department said Thursday. The last two weeks have swung dramatically in both directions, with initial claims first dropping to a revised 342,000, the lowest level in four years, and then suddenly popping back up last week. Economists attribute the volatility to the end of the quarter and the Columbus Day holiday. "The volatility in the last few weeks appears to reflect seasonal adjustment challenges around the start of a quarter," said Jim O'Sullivan, chief U.S. economist for High Frequency Economics. Economists often prefer to look at a four-week moving average, to smooth out some of the large swings in the data. That indicator increased to 365,500 last week and has been hovering in the 360,000 to 380,000 range since July. Claims around that level suggest layoffs remain low -- an encouraging sign for the economy -- but don't necessarily mean hiring has picked up. "The labor market, just like the broader economy, is plodding along at a deliberate pace," said Thomas Simons, money market economist for Jefferies. 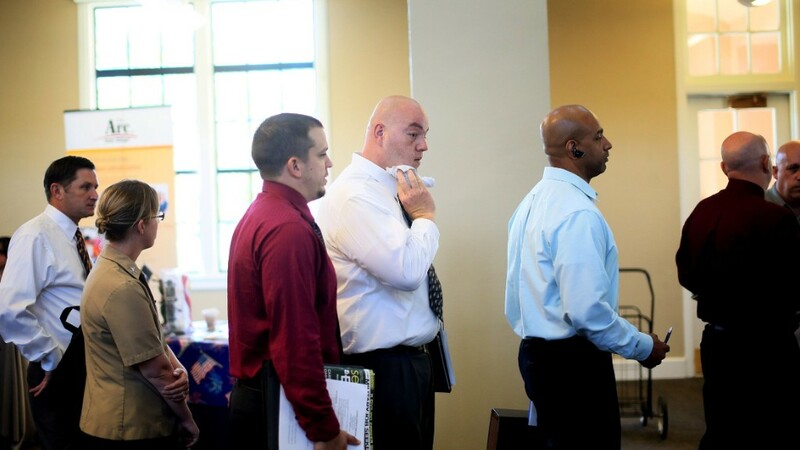 Meanwhile, about 3.3 million Americans continued to file for their second week of unemployment benefits in the week ended October 6, the most recent data available. Did you recently find a job? Tweet @CNNMoney using the #igotajob hashtag, and you could be featured in an upcoming article.